Not sure what to get your favorite pet owner this Holiday Season? How about some great product bundles from RPG Innovations that include everything a pet owner needs to take care of their pet? This post is sponsored by RPG Innovations. I am being compensated for spreading awareness of their Holiday Pet Bundles but Oz the Terrier only shares information we feel is relevant to our readers. RPG Innovations is not responsible for the content of this article. 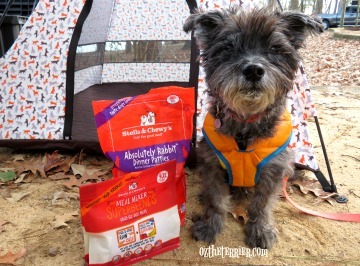 RPG Innovations understands that pets have an important place in their families’ lives and their family of brands, which include Bags On Board, OUT! 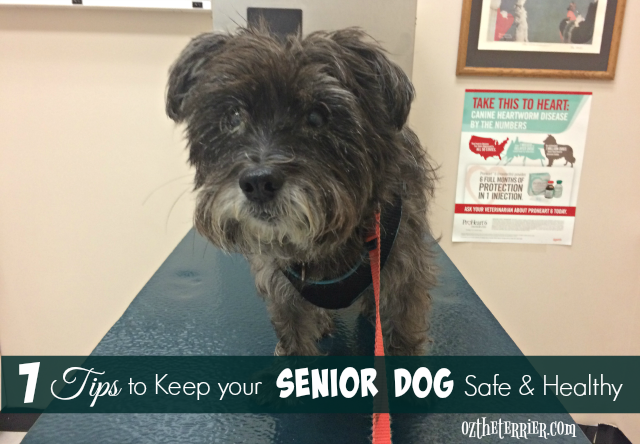 Pet Care, Simple Solution and Vet’s Best, are focused on serving pet parents of all kinds. 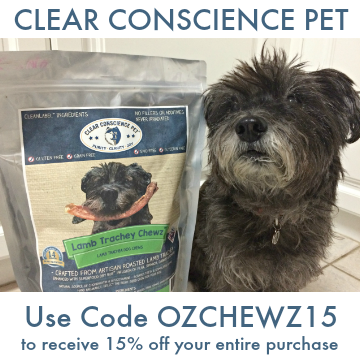 Their mission is to provide quality pet-care products that enhance the relationship between owners and their pets. The RPG Innovations Holiday Pet Bundles include great products from the RPG family of pet care products and the price is right at 50% off what the total cost of all the products would be if purchased individually. 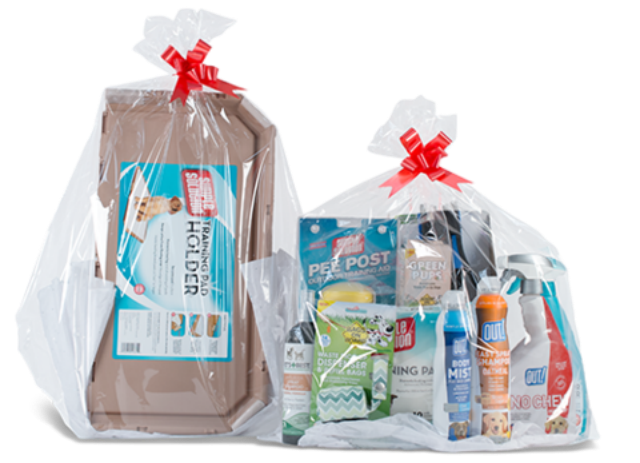 There are six Holiday Bundles for dog owners including the Active Dog Bundle, Cold Weather Dog Bundle, New Puppy Bundle, Spa Dog Bundle, Travel Dog Bundle and the Ultimate Dog Bundle. The Ultimate Cat Bundle is great for cat owners. That’s a lot of product in one bundle, isn’t it? If you purchased all these products separately, you’d pay around $140 but with the Exclusive Holiday Bundle Pricing, you pay just $70. 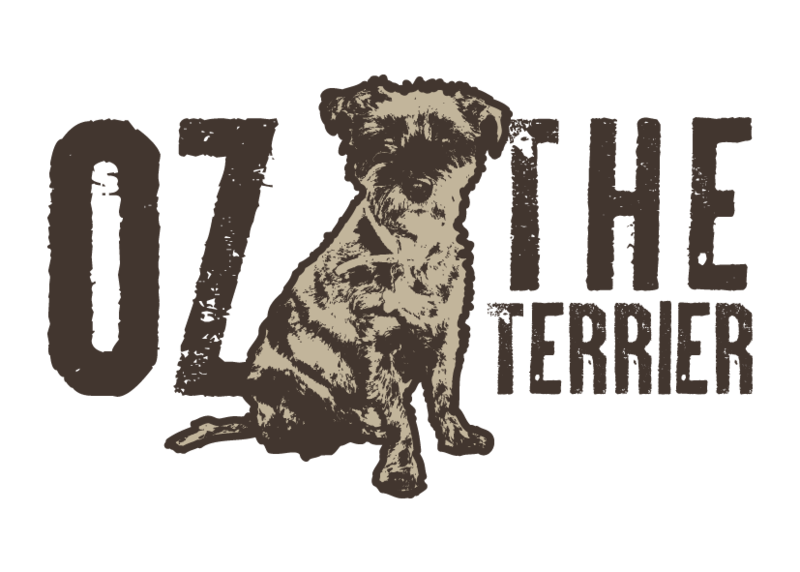 That’s terrierific! 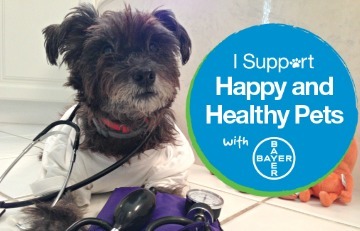 Everything you need to take care of your pooch. 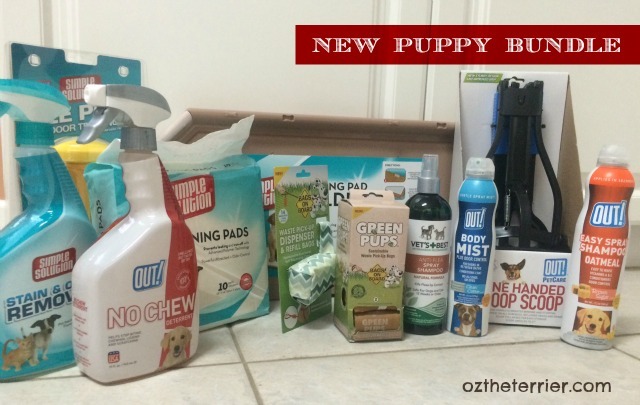 Includes Vet’s Best supplements and shampoos, Simple Solution training pads and diapers, Bags on Board fashion dispenser and doggie waste pick-up bags, OUT! urine remover, and lots more. Stock up on these products for the cold weather. 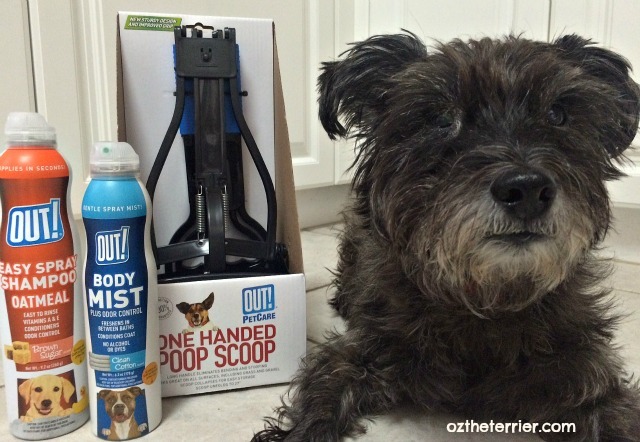 Includes Simple Solution training pads and holder, Simple Solution oxy-charged stain and odor remover, Vet’s best waterless dog bath, OUT! body mist, and more. 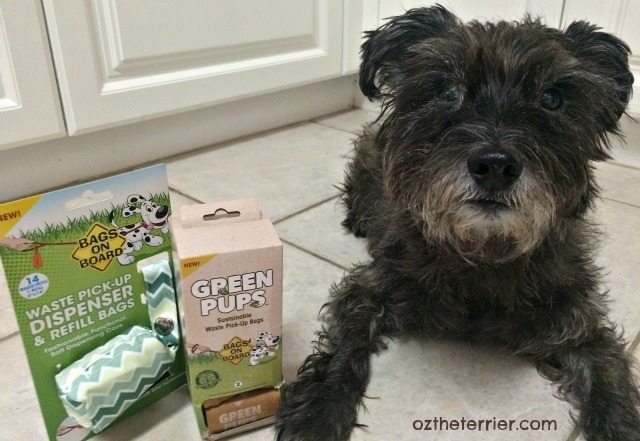 Keep your pooch smelling sweet with these products. 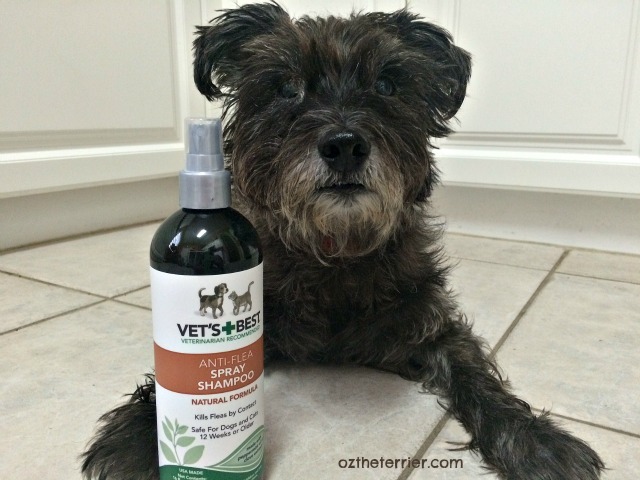 Includes Vet’s Best shampoo, conditioner and dental gel, OUT! body mist and Bags on Board fashion dispenser and doggie waste pick-up bags. Make sure to pack these items if you’re traveling with your pooch over the holidays. 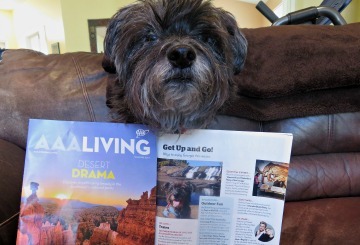 Everything from Simple Solution’s washable training and travel pads, to Vet’s Best travel calm tablets, OUT! urine remover and Bags on Board fashion dispenser and doggie waste pick-up bags. For pooches that are active outdoors. Includes supplements, flea and tick spray, hot spot shampoo and moisture mist conditioner from Vet’s Best, and Bags on Board fashion dispenser and doggie waste pick-up bags. Everything you need to take care of your kitty. Includes must-have items such as a waterless cat bath and hairball relief tablets from Vet’s Best, and cat litter attractant and an HD UV urine detector from Simple Solution. If you are interested in some of these products but not the full Bundle, you can shop at RPG Innovations online store HERE. 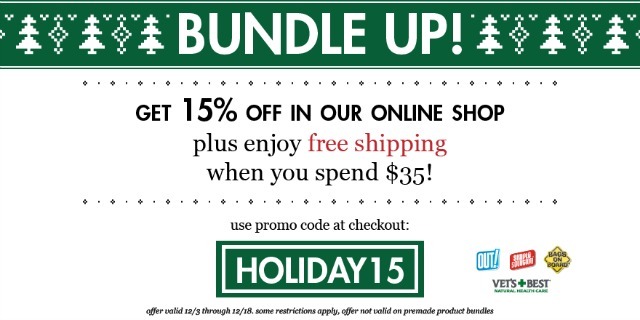 Enter HOLIDAY15 in the promo code at checkout and receive 15% your online order from today through December 18 (Holiday Bundles are excluded). For more information about the RPG Innovations line of products, you can follow and chat with the brands on Twitter. Just click the brand names listed here to visit their Twitter profiles – OUT! Pet Care, Vet’s Best, Simple Solution, Bags On Board. What do you think of these Holiday Pet Product Bundles? 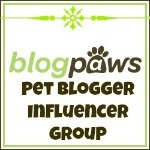 Will you be purchasing one for your favorite pet owner? We think that it would be good to just give us EVERYTHINGY PAWSIBLE... Right? Never heard of this, but it would be a great first time dog owner gift. Any one of those bundles would make a cool gift! That would make a great Christmas present for pet parents. I am making a puppy survival kit for my daughter. LOL! Have to tell you these bundles are the BEST ideas I have seen from any blog. Super great idea!! 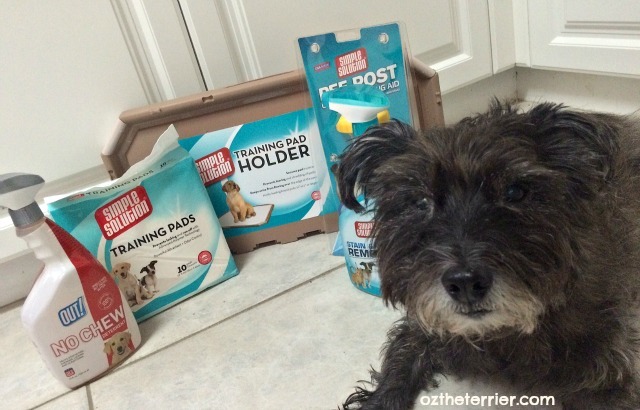 I am laughing though because Oz's face in the last few photos looks like he isn't quite sure lol! Those are some fantastic ideas. May have to change our Christmas lists! Oh these are great ideas!! 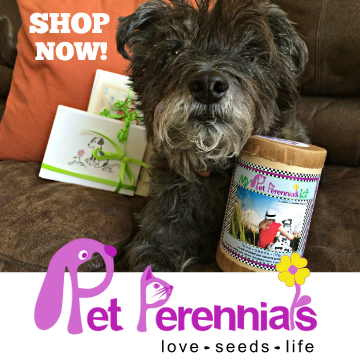 These bundles are great...what perfect gifts for pet families! Some great bundles in time for the holiday gift season.